We’re so excited to announce our great list of 2013 speakers! Brian Alspach is Executive Vice President at E-Line Media, a publisher of game-based learning products and services that engage, educate and empower, helping to prepare youth for lives and careers in the 21st Century. He leads E-Line’s youth gamemaking efforts including Gamestar Mechanic – an online platform that teaches game design and has been used by over 400,000 youth in over 5,000 schools – and the National STEM Video Game Challenge – a multi-year competition that encourages young people to design video games to build a motivation for Science, Technology, Engineering and Math. Karen Arnold (pronounced Car-en) and her husband, 4 children, 4 cats, and approximately 10 chickens, live in sunny Albuquerque, New Mexico. She is a Happiness Engineer for Automattic, the folks that make WordPress.com. When she isn’t engineering happiness, that is, helping WordPress users with their sites, she helps her husband homeschool their energetic kiddos, tries to blog regularly, and brainstorms ways to meet every WordPress user in New Mexico. Leticia Barr is the founder of Tech Savvy Mama. She is a DC Metro area dwelling mom of 2 with a background in classroom technology integration and school administration who uses everything she learned from in her previous career in her current one as a professional blogger, Parents.com columnist, and social media strategist. She frequently advises brands dedicated to protecting kids both in real life and in the ever-changing online and mobile spaces about family internet safety and security issues. Leticia is a seasoned speaker whose work has been recognized by Parents Magazine’s Editors’ Pick for Best Tech Blog, Babble’s Top 100 Mom Blogs, and among the 50 Top Twitter Moms by Babble. Julia S. Beck, founder of Forty Weeks, is a prominent New York and Washington, DC based marketing strategist with a passionate focus on the maternity / juvenile category. Julia’s twenty year career can best be categorized as consistently vibrant, evolving and certainly exciting. Her signature enthusiasm, humor, natural leadership and genuine care for her clients and the world as a whole have led Ms. Beck on an exciting path. From her early days in magazine marketing and advertising sales, through her media consultant years and finally into her groundbreaking work with Forty Weeks Julia has remained committed to her core ideals: finding ways to bring the for-profit and the philanthropic worlds together for greater good. Julia is deeply dedicated to crafting game changing initiatives that meet and exceed the goals for all stakeholders involved. Julia’s work has been featured in such publications as the New York Times, Wall Street Journal, The Washington Post, In Style Magazine and many others. Her signature candid and well considered commentary has been featured on an array of broadcasts outlets including: VH-1’s The Fabulous Life, Good Morning America, and NPR. Gayarti Bhalla (Ms. Twixt) is all about positive experiences for tween girls (ages 7-12). By day, Ms. Twixt runs a technology company and is mother to three tween-age girls and a boy. She writes under the pen name Ms. Twixt in an attempt to reduce the drama she causes for her tween daughters. Ms. Twixt is a blogger and online columnist. She earned her MBA from Yale and for years advised Fortune 500 brands on social media and digital strategy. She previously owned a storefront in Washington, DC, that opened in 2007 to rave reviews and was selected in 2008 and 2009 as Nickelodeon’s Parents’ Pick for both “Best Kids Store” and as DC Living magazine’s “Best of 2008 Style.” She has worked with hundreds of tweens and their parents on issues such as digital literacy, cyberbullying, self-confidence, and girl power and is a thought-leader on all things tweens. Read more: http://technorati.com/people/MsTwixt#ixzz1XwDw3QRH. Jill Berry is all about seizing family time one dinner…one game night…one movie at a time. Jill is a blogging mom raising a tween and two teens in the Baltimore area. Her kids gives her lots to blog about at — Musings from Me — where she writes about seizing family time in between all the soccer practices, homework, music lessons, and school events. Jill is a regular contributor to The DC Moms and the Baltimore Examiner. Her former life as a Senior Editor for a health care publisher did not prepare her for raising kids/tweens/teens, but it does help her to spot typos in any book, magazine, or newspaper she reads! Emily Broutian is a 10 year old writer and blogger phenom. She’s been writing ever since she was 5. At that time her stories were about a girl and a dog, but now she has many different stories to tell. She also loves doing arts and crafts, and loves reading books. Her parents give her the best presents for her birthday. This year it was her blog, which she wanted since she attended BlogHer in New York with her mom. She blogs about her life at XOXO Emily. Megan Broutian is a behavior analyst turned blogger. She writes about parenting using the principles of behavioral psychology at Behavioral Child and about life in general, and hers in particular, at Megan Blogs. 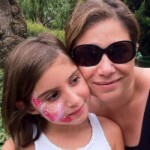 She monitors very closely her 10 year-old daughter’s blogging journey at XOXO Emily. Betsy Cadel is the founder of Thinking Cap Productions, a full-service video production company which focuses primarily on how-to videos that turn “WTF moments of frustration to OMG moments of elation.” She co-launched Webby nominated Digitwirl.com in 2011. She has written scripts for the eHow series Socially Connected , teaching everyone from newbies to savvy users about social media platforms. She’s currently scripting and producing several video projects including a series for HGTV that shows smart, simple, solutions to everyday challenges that everyone can relate to. Her teen son Simon’s burgeoning comedy career has been exciting for both Betsy and her husband, Andy, as they get to spend many Friday and Saturday nights laughing loudly while enjoying their two-drink minimum. They note that neither was the case when Simon played soccer. Simon Cadel started performing stand-up comedy two-years ago while at Long Lake Camp for the Performing Arts. He took comedy classes in Manhattan at The Gotham Comedy Club where he performed in showcases, and developed a real passion/addiction for making people laugh. Videos of his performances and original songs which were posted on YouTube led to bookings at The Comic Strip Live and New York Comedy Club for prime weekend shows alongside established adult comedians. He’s been described as a comedian who “happens to be a kid,” not a “kid comedian.” His material is smart, observational, and high-energy, inspired by some of his favorites: Brian Regan, Demitri Martin and Jim Gaffigan. Recently he was approached by the casting folks at America’s Got Talent to audition for their upcoming 9th season. They found him through YouTube. Their search term? “Kid Comedian.” Proof that social media, plus content, can make a big impact. Victoria Coaxum is a 16 year old high school student in Berks County, Pennsylvania. Along with her sister Lauren, she founded Think Before You Type, an anti-cyberbullying and positive self-esteem self-esteem organization. The organization consists of their efforts on their blog and work in the community. Online they upload interviews, post video dares that challenge viewers to positively impact those around them, and blog about topics that relate to TBYT’s main topics of cyberbullying, self-esteem, and using the internet for good. In the community, Lauren and her sister speak to various groups of people about their organization’s main topics. Lauren Coaxum is a 17 year old premed student going into her sophomore year at Marymount University in Arlington, Virginia. Along with her sister Victoria, she founded Think Before You Type, an anti-cyberbullying and positive self-esteem organization. The organization consists of their efforts on their blog and their work in the community. Online they upload interviews, post video dares that challenge viewers to positively impact those around them, and blog about topics that relate to TBYT’s main topics of cyberbullying, self-esteem, and using the internet for good. In the community Lauren and her sister speak to various groups of people about their organization’s main topics. Lara DiPaola is a California Native transplanted to the Baltimore-DC metro. A wrangler of kids and cats, this mother of four serves as the Director of Marketing for CertifiKid, a family-focused daily deal site based in Maryland with branches in major cities from coast-to-coast. In her ‘spare’ time Lara traipses about globe, sometimes sans offspring, writing about travel for TravelingMom.com and USA Today Travel Media. Her family is currently eight stadiums into their journey to visit all of America’s Major League ballparks. Clayton Collier is a journalism major, entering his sophomore year at Seton Hall University. Clayton started out with several websites of his own, however soon began as a weekly contributor for MetsMerizedOnline.com, who he has been with for three years since. Through MetsMerized he has been able to cover various Mets games and events where he attends press conferences and batting practice while also interviewing players and coaches. He is currently Assistant Sports Director at WSOU, where he broadcasts Seton Hall sports including Big East Basketball and hosts various sports talk shows. In addition to his role with WSOU Sports, Clayton is the television Play-By-Play announcer for the Brooklyn Blackout, an expansion ABA basketball team. He also interns at CBS in their Sports Department. During the summer, Clayton works as a counselor at a Sports Broadcasting Camp, teaching campers 10-18 on how to be successful in the industry. On campus, Clayton is also involved in Student Government Association, Pirate TV, The Setonian and a male A cappella group he assisted in founding. Laura (Lolli) Franklin is a Washington DC-area mom of 5 teen and pre-teen kids who is just as busy as you might guess. When Laura was in elementary school, her dream was to be a Mom and a writer. She never anticipated that she’d fulfill that dream so literally as a lifestyle/family blogger. Her blog, Better in Bulk , is her creative escape, her social circle, and now her full time job. Laura has partnered with brands like Pepperidge Farms, Disney and Adobe and is also a regular content writer for Proctor & Gamble’s parent sites. In addition to a full editorial calendar for her blog, juggling piano lessons, team sports and feeding her family, Laura also manages to make time for a small local photography business, where she focuses on casual, natural light portraits. Bruce Fretts is Articles Editor of TV Guide Magazine and writes the wildly popular “Cheers & Jeers”column. Fretts also writes the daily “Cheers & Jeers” blog on tvguide.com. Prior to joining TV Guide, Fretts spent 12 years at Entertainment Weekly magazine, rising from Researcher to Critic. He wrote hundreds of articles, including cover stories on such stars as Harrison Ford to Howard Stern and TV shows like Baywatch and Friends. He authored the magazine’s first book, The Entertainment Weekly Seinfeld Companion, which hit best-seller lists in 1993. Fretts lives in New Jersey with his children, Jed and Olive. Melia Gayaldo is 9 years old, likes math and science, singing and piano, just started clarinet, and loves to help people. Some of her other interests include biking and school. Chloe Gordon is the 17 year old co-founder of Popcosmo.com, a lifestyle blog. She has been blogging since she was 13, first about triathlons, and now about fashion, DIY, and topics for teens, moms and everyone in-between since she blogs with her mom. Chloe handles all the graphics, the blog design, and most of the social media, including Instagram, Tumblr, YouTube, Twitter Chat (#ChicChat). Her success on Pinterest has been featured in a book, Huffington Post and Entrepreneur.com among other sites. Stephanie Humphrey is a tech-life expert who merges her passion for lifestyle media with in-depth tech expertise to show everyday people how empowering, enriching and fun technology can be. Stephanie is driven by the sole purpose of connecting people, particularly those underrepresented in technology, with the tech know-how to transform their worlds. Stephanie contributes her tech-life expertise to national media outlets including TheGrio.com and BlackEnterprise.com. She is the author of the popular weekly “Life + Tech” column on EBONY.com, keeping readers up-to-date on the latest tech topics from gadgets to social media, and originated the “Tech2Go” weekly column on TheRoot.com. Stephanie has also been featured on Comcast’s “Tech Life” segments on Philadelphia and Atlanta radio, on CBS3 Philadelphia as a freelance reporter, and as Senior Lifestyle Correspondent for “Philly What’s Up” on CW Philly. Her tech expertise was presented on the nationally syndicated television show “Our World with Black Enterprise”, and she is very excited about her latest venture as a regular technology contributor to Fox 29’s “Good Day Philadelphia” (WTXF). Clips of some of Stephanie’s work can be viewed on her YouTube channel. Stephanie holds a B.S. in Electrical Engineering from Florida A&M University and a M.S. in Telecommunications and Networking Engineering from the University of Pennsylvania. Isabel Kallman is the founder and chief at Alpha Mom, an online parenting website. Isabel and Alpha Mom have been featured by leading national media such as USA Today, The Today Show, and Good Morning America. Forbes anointed Alpha Mom one of the Top 10 Mommy Hood Gurus and Parents Magazine named Isabel one of the ten “Power Moms.” Before launching Alpha Mom, Isabel spent a decade at a leading Wall Street firm working in international investment banking and equities where she worked on capital raisings for companies and advised large mutual funds and pension funds on their portfolios. Isabel lives in New York City with her husband and eight-year-old son. When she grows up she wants to be Tami Taylor from Friday Night Lights. Nakia Kelley is an entrepreneur, speaker, blogger, mom, and woman of faith. She has a lot of experience in an extremely diverse range of businesses — everything from construction to accounting. She is a Mom to two children with special needs, a 16 year old with Cerebral Palsy who is now a entrepreneur herself, and a 10 year old boy with Aspergers who races dirt bikes. If you didn’t already think she is completely insane, you should know that they are both homeschooled and Nakia travels all over the country while she encourages her kids to explore their passions and use the world as their classroom. She’s all about overcoming obstacles and making it happen no matter what and that’s exactly what she teaches her kids as they take on the world, which she says is her favorite project yet. Frederick Lane is a nationally-recognized expert on privacy and the impact of emerging technologies on society. He is an author, attorney, educational consultant, expert witness, and lecturer who has appeared as guest on a variety of national media programs, including: Comedy Central’s “The Daily Show with Jon Stewart”; ABC’s “Nightline” and “Good Morning America Weekend”; CBS’s “60 Minutes” and “Sunday Morning with Charles Osgood”; NBC’s “Today Show” and “Weekend Today”; and numerous local and national radio programs. Mr. Lane has written seven books, including most recently “Raising Cyberethical Kids” and “Cybertraps for the Young.” His lectures cover topics ranging from First Amendment issues to student safety and privacy in the digital age. Mr. Lane has spoken at the National School Boards Association annual conference four times (most recently in April 2011), and has presented at colleges, universities, and school districts across the country. He is a former member and chair of the Burlington (Vt.) School Board, Mr. Lane currently lives in Brooklyn, NY. Kevin Lockland oversees editorial operations for SB Nation, Vox Media’s sports properties Properties. SB Nation boasts over 50 million users per month across 300 individually branded, fan-centric sports communities, each covering a specific professional or college team, league or sport and sbnation.com, one of the fastest growing national sports sites. German Marin is a New York City Photographer living in Brooklyn focusing on making the world a better place, one photograph at a time. He books weddings, fashion shoots, events and everything in between. And when he’s not busy editing photos, he’s looking through magazines looking for inspiration for his next pose, shoot or client. In his spare time German likes to take photos on his iPhone and edit them on his app called Camera + and then post on Instagram. Amy Mascott is the creator of teachmama.com , where she shares tools and resources parents can use to become the best teachers for their children. Capitalizing on learning opportunities in the every day and inspiring curiosity through games and play, Amy encourages a ‘lifestyle of learning’ where parents both prepare their children for school and help them to grow excited and informed about the world around them. Recognizing the need for more peer collaboration, Amy built the community ‘we teach’ a forum for parents and teachers to connect, share ideas, and grow into better educators—no matter the classroom. ‘we teach’ has grown quickly into one of the most successful and highly-trafficked educational forums on the web. A reading specialist, writer, consultant, and mom to a crazy-cool 8, 6, and 5-year-old, Amy’s reflections on literacy, parenting, and social media have been featured on dozens of online and print publications, including Scholastic Parents Online, PBS Parents, readwritethink.org, Mom’s Homeroom, and more. Michele McGraw is a mom of 4 who blogs & vlogs at Scraps of My Geek Life, a blog offering daily commentary, advice, reviews and shared experiences of how her real life and the digital domain connect. Michele shows families how to use technology to enhance their lives. Her 16 year old son, Nathan, is a budding filmmaker who has written and produced several Lego movies and starred in 6 drama productions in the past 2 years. Sami, 13, dances her way through life and enjoys creating videos with her friends and younger sister and brother. Jessica McFadden is the creator and author of the popular lifestyle blog for parents, A Parent in America, as well as the award-winning hyperlocal parenting website A Parent in Silver Spring, which has been featured in media such as CNN, Forbes, and The Washington Post as a top resource for Washington, DC area parents. Jessica has successfully and creatively incorporated video in both of her websites, growing her readership, viewership and scope of content. Jessica is the host of Real Life Style with Jessica McFadden on MomTV, a monthly live webcast with a cult following. Jessica has also served as a regular contributor to Nickelodeon ParentsConnect, TLC’s Parentables, The Washington Post and Washington, DC-area Patch sites. However, Jessica says that her most important gig is being a wife to Chris and mom to nine-year-old son Charlie, seven-year-old daughter Eve, and two-year-old daughter Alice. Maggie Miller is a frugal living expert and super financially conservative mom of 4 great kids, a husband & dog. She’s located on Maryland’s Eastern Shore. She works from home, home schools her kids in Pre-K through college and has a severe passion for all things Disney. She’s been fortunate enough to be featured on Good Morning Delmarva, Fox News Baltimore, as well as other publications & articles. She co-authorized Top 100 Mobile Text Coupons available on Amazon’s Kindle & has worked with brands like Feld Entertainment, Huggies, Bigelow Tea, Welch’s Juice, Press of Atlantic City and more. Tori Molnar is the fifteen year old President and CEO of Utoria, LLC. Utoria is a creative company that assists and educates young women in becoming entrepreneurs and/or business women. Ms. Molnar founded Utoria in late 2010 to help some of her friends earn money through the only way that she ever knew how, starting their own business! About six months later, she also founded the “She Can Make Change” organization. She Can Make Change is developing into a noteworthy organization which will help young women in many different ways with the objective of putting “Change” in their pocket, as well as, knowing how to make positive “Change” for themselves and the world around them. Jacob Resnick is a teen sports blogger and broadcaster. At the age of eleven he had the opportunity of a lifetime when he won a contest and got the chance to spend an inning in the broadcast booth with the New York Mets broadcasters at Citi Field. As a die hard Mets fan, he was overwhelmed when he stepped into the booth and got to call a home run. The call went viral on the internet and gained national attention, and he felt on top of the world. He was invited to be a special correspondent for SNY’s original programming, “Kids Clubhouse”. It was an unbelievable way to spend the 2012 summer. He has always wanted to be involved in sports in some way, and broadcasting seems to be what he wants to do. He currently blogs for two Mets fan websites, Metsmerizedonline.com and Mets360.com. Karl Rivera is a blogger, scholar, and photographer. He is currently a sophomore on a four year leadership based scholarship at Wheaton College. Since 2009, Karl has blogged about teen lifestyle in its broadest sense: advice, reviews, and his thoughts on the world all from a fresh perspective. Karl has spoken at SxSW, and in 2011 was featured as a Top 25 Kid Blogger on Circle of Moms. He spent this past summer working as a Teaching Assistant at the International Center of Photography. Additionally, Karl has recently launched an innovative leadership development initiative on his campus calling young people to be more socially conscious of the world they live in. Nando Rodriguez wrote his first blog on myspace in 2005 and hasn’t stopped since. He’s learned to navigate through the blogosphere along with the highs and lows which have included various video series, celebrity interviews and backstage appearances at New York Fashion Shows. Currently he’s the Head of Employment Branding for a Global Advertising Agency as well as their Sr. Social Media Recruiter. In his spare time Nando likes to eat gluten free cereal and take care of his naughty birds, Coco & Blue. Due to height restrictions Dresden missed her calling as a Muppet. She has persevered as an appreciator of all things mah na mah na. Elena Sonnino is a freelance writer, strategist, traveler, runner, cancer survivor and chaser of dreams. Elena is passionate about fostering self sufficiency and inspiring others by sharing travel, running and social good stories. She believes in empowering tweens to become great global citizens. Elena spent twelve years as a teacher, educational leader and mentor to elementary students. Whether she was a classroom teacher or an advanced academic resource teacher, her focus was always on empowering students to develop independent and creative thinking. She continues to work with teachers now as a coach and mentor, helping teachers improve their practice. Elena is a Shot@Life UnFoundation Social Good Fellow and Shot@Life champion, a member of Bloggers4Haiti, a member of ONE Moms, and is on the American Cancer Society Blogger Advisory Council . She is also passionate about travel, and is a contributing blogger at TravelingMom.com, HiltonMomVoyage.com and ThisGirlTravels.com. Robin Zachary is a New York City based stylist, art director and editor who blogs about her styling adventures at Propcloset.com. During her years as Creative Director of Bridal Guide Magazine she grew to love working with flowers, fine tableware and bridal gowns and to this day is still in love with weddings and the beauty surrounding this happy occasion. Robin teaches styling at New York’s Fashion Institute of Technology and is a regular at Wedding industry events. She’s also the Contributing Home Editor for Bridal Guide and blogs for Bridalguide.com. Her styling clients include Weddings by the Ritz Carlton, Wine Spectator, Cosmo for Latinas, Parents, Essence and People. She lives in the Chelsea neighborhood of New York with her husband, son Jacob and dog Casey.